Friday’s commencement ceremony may have marked the end of the USC careers for several Trojans. Now is only the beginning, however, of their basketball playing days. Forward Eric Wise plans to compete with the Orlando Magic at the Orlando Pro Summer League this July. Former Trojan Nikola Vucevic currently plays for the Magic. Center James Blasczyk is filling out NCAA paperwork to receive a sixth year of eligibility. Local schools including CSUN, LBSU and Pepperdine have expressed interest. UCLA has also inquired about his services. 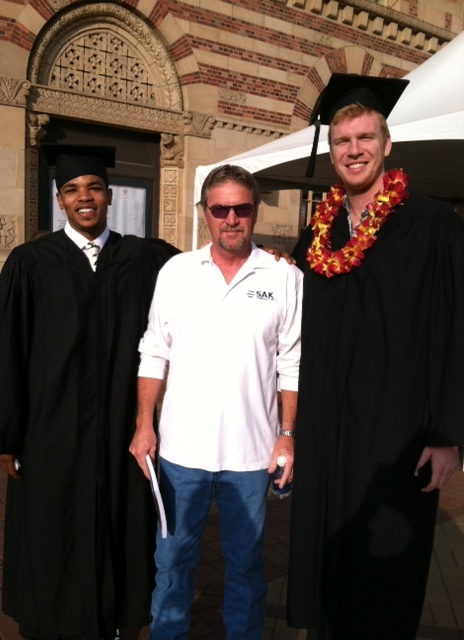 Former USC basketball David Blu returned from a successful playing career in Israel to receive his diploma. Guard Tyler Sugiyama will pursue a career in the financial industry.